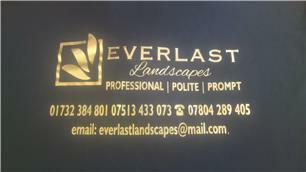 Everlast Landscapes - Driveways/Patios/Paths, Fencing/Gates, Landscaper based in Burnham Road, Kent. We are a friendly and reliable family run business with 12 years experience in landscaping. Our specialised areas are block paving, patios, fencing , multi print, decking, turfing and brick work etc. All work is guaranteed and we are fully insured. Call us for no obligation quotes and free estimates.